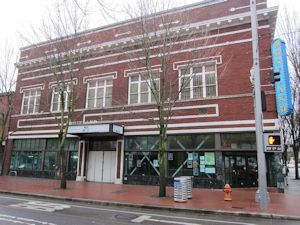 The Roseland Theater, sometimes called the Roseland Theater and Grill, is a music venue located at 8 Northwest Sixth Avenue in the Old Town Chinatown neighborhood of Portland, Oregon, in the United States. The building was originally a church, constructed by the Apostolic Faith Church in 1922. In 1982, Larry Hurwitz converted the building to a music venue called Starry Night. The venue was given its current name during the 1991 ownership transfer. During the 1990s, Double Tee acquired control of the hall's operations, then purchased and renovated the building. The theater features a standing-only main floor and an upstairs balcony with an adjacent bar. Peter's Room, an intimate showcase venue with a 400-person capacity, includes a restaurant and bar. 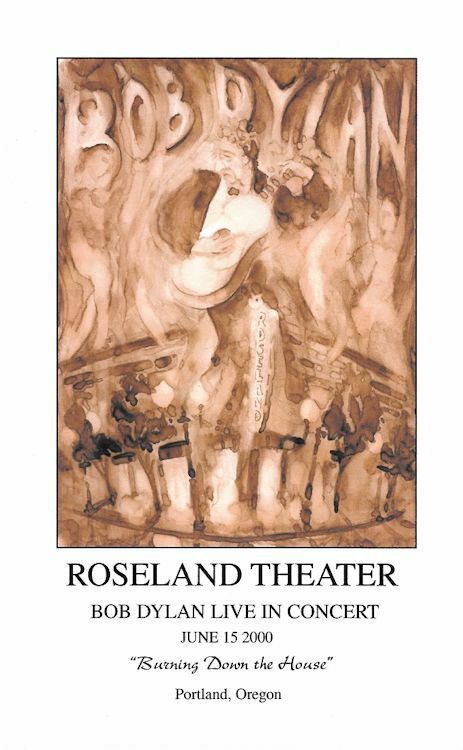 Roseland has been named "Best Haunted Venue" by one local publication, referring to the 1991 murder. The venue is known for hosting a variety of music acts and for its good acoustics. Specially printed for the event: limited to 100 copies only, published by Rocking Lantern Studios, A5 sized fold-out card made to write the setlist of the show: inside is only printed 'The Evening Setlist'. Thank you to Peter Koehler for the scan and information.